Our experts coach school personnel in the design of Counselling and English as a Second Language programmes, and the implementation of Differentiated Teaching Strategies that assist with meeting student learning needs in the classroom setting. Professionals from the centre in Bogotá travel to the student's home city to carry out intensive specialised assessments (usually by referral from the school), such as SIPT (Sensory Integration Test and Praxis), Psycho-educational evaluations and Occupational Therapy evaluations. After the tests, the family and the school meet with the specialist to receive a verbal and written report outlining the next steps of treatment. "Through the brigades carried out in our institution, our school administrators, teachers and parents have enhanced their understanding of different student learning needs. We feel LPC provides excellent support for our school processes, and it is very gratifying to see our students are performing better." We are available to present on a portfolio of topics to support the development of knowledge and understanding of learning differences and child psychology within the parent and educator community. For more information please do not hesitate to contact us. LPC develops partnerships with schools to deliver services that align with the school's intervention strategies and processes on school campuses. Services are provided in a push-in or pull-out model during school hours, as well as after school. The Learning & Psychology Centre deploys qualified staff to the school who are ready to serve students at the on-campus centre, for the convenience of students, parents and teachers. 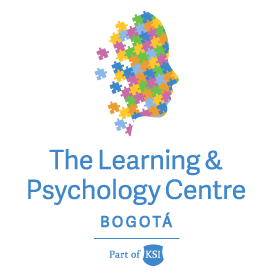 Currently, LPC operates centres inside Knightsbridge Schools International Bogota and Colegio Gimnasio Femenino. "For us, it is a pleasure to work hand-in-hand with LPC. The staff is always ready to listen and cooperate with our students in any situation presented."